General objective of this report is to analysis Merchandising Business in Ready Made Garments, here focus on Shelltex International. Other objectives are to develop the concept about the various aspects of the organizational structure, success and marketing process of the garments industry. This report also analyze the various concept of marketing, formal hierarchy, standardized export policies and rules, organizational network, various types of approaches to make profit. The garments industry of Bangladesh has been the key export division and a main source of foreign exchange for the last 35 years. At present, the country generates about $6 billion worth of products each year by exporting garment. The industry provides employment to about 3 million workers of whom 90% are women. Two non-market elements have performed a vital function in confirming the garment industry’s continual success; these elements are (a) quotas under Multi- Fibred Arrangement1 (MFA) in the North American market and (b) special market entry to European markets. The whole procedure is strongly related with the trend of relocation of production. It has been reveals that the tendency of low labor charges is the key reason for the transfer of garment manufacturing in Bangladesh. Bangladesh Garment Sector and Global Chain The cause of this transfer can be clarified by the salary structure in the garment industry, all over the world. Apparel labor charge per hour (wages and fringe benefits, US$) in USA is 10.12 but it is only 0.30 in Bangladesh. This difference accelerated the world apparel exports from $3 billion in 1965, with developing nations making up just 14 percent of the total, to $119 billion in 2001, with developing nations contributing 59 percent. In 1991 the number of workers in the ready-made garment industry of Bangladesh was 582,000 and it grew up to 1,404,000 in 1998. In USA, however, 1991-figure showed 1,106.0 thousand workers in the apparel sector and in 2008 it turned down to 765.8 thousand. The objective of the case study is to develop the concept about the various aspects of the organizational structure, success & marketing process of the garments industry. This case study will help me to analyze the various concept of marketing, formal hierarchy, standardized export policies & rules, organizational network, various types of approaches to make profit, decision making in stable & unstable situation, how to improve the quality of products & the production process which will enrich my experience for my future career. In retail commerce, visual display merchandising means maximizing merchandise sales using product design, selection, packaging, pricing, and display that stimulate consumers to spend more. This includes disciplines in pricing and discounting, physical presentation of products and displays, and the decisions about which products should be presented to which customers at what time. This annual cycle of merchandising differs between countries and even within them, particularly relating to cultural customs like holidays, and seasonal issues like climate and local sporting and recreation. In the United States for example, the basic retail cycle begins in early January with merchandise for Valentine’s Day, which is not until mid-February. Following this, Easter is the major holiday, while springtime clothing and garden-related merchandise is already arriving at stores, often as early as mid-winter. Mothers Day and Fathers Day are next, with graduation gifts (typically small consumer electronics like digital cameras) often being marketed as “dads and grads” in June (though most semesters end in May). Summer merchandise is next, including patriotic-themed products with the American flag, out by Memorial Day in preparation for Independence Day (with Flag Day in between). By July, back-to-school is on the shelves and autumn merchandise is already arriving, and at some arts and crafts stores, Christmas decorations. By September, the summer merchandise is on final closeout and overstock of school supplies is marked-down some as well, and Halloween (and often even more of the Christmas) merchandise is appearing. As the Halloween decorations and costumes dwindle in October, Christmas is already being pushed on consumers, and by the day afterward retailers are going full-force with advertising, although the “official” season does not start until the day after Thanksgiving. Christmas clearance sales now begin even before Christmas at most retailers, and continue on to as little as New Year’s Day or as long as February. Merchandising also varies within retail chains, where stores in places like Denver, Minneapolis, or Buffalo might carry snow blowers, while stores in Florida and southern California might instead carry beach clothing and barbecue grills all year. Coastal-area stores might carry water skiing equipment, while ones near mountain ranges would likely have snow skiing and snowboarding gear if there are ski areas nearby. The ready-made garment (RMG) industry of Bangladesh started in the late 1970s and became a prominent player in the economy within a short period of time. The industry has contributed to export earnings, foreign exchange earnings, employment creation, poverty alleviation and the empowerment of women. The export-quota system and the availability of cheap labour are the two main reasons behind the success of the industry. In the 1980s, the RMG industry of Bangladesh was concentrated mainly in manufacturing and exporting woven products. Since the early 1990s, the knit section of the industry has started to expand. 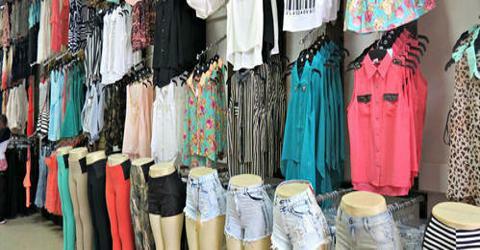 Shirts, T-shirts, trousers, sweaters and jackets are the main products manufactured and exported by the industry. Bangladesh exports its RMG products mainly to the United States of America and the European Union. These two destinations account for more than a 90 per cent share of the country’s total earnings from garment exports. The country has achieved some product diversification in both the United States and the European Union. Recently, the country has achieved some level of product upgrading in the European Union, but not to a significant extent in the United States. Bangladesh is less competitive compared with China or India in the United States and it is somewhat competitive in the European Union. The phase-out of the export-quota system from the beginning of 2005 has raised the competitiveness issue of the Bangladesh RMG industry as a top priority topic. The most important task for the industry is to reduce the lead time of garment manufacturing. The improvement of deep-level competitiveness through a reduction in total “production and distribution” time will improve surface-level competitiveness by reducing lead time. Such a strategy is important for long-term stable development of the industry, but its implementation will take time. In contrast, the establishment of a central or common bonded warehouse will improve surface-level competitiveness by reducing lead time, but deep-level competitiveness will not be improved and long-term industry development will be delayed. Therefore, granting permission to establish in the private sector such warehouses with special incentives, such as the duty-free import of raw materials usable in the export-oriented garment industry for reducing the lead time in garment manufacturing is a critical issue for Bangladesh. Second, Bangladesh needs to improve the factory working environment and various social issues related to the RMG industry. International buyers are very particular about compliance with codes of conduct. Third, issues related to product and market diversification as well as upgrading products needs to be addressed with special care. Moreover, the Government of Bangladesh needs to strengthen its support. The development of the port and other physical infrastructure, the smooth supply of utilities, a corruption-free business environment and political stability are some priority concerns for the Government to consider in its efforts to attract international buyers and investors. The RMG industry of Bangladesh has expanded dramatically over the last three decades. Traditionally, the jute industry dominated the industrial sector of the country until the 1970s. Since the early 1980s, the RMG industry has emerged as an important player in the economy of the country and has gradually replaced the jute industry. The “export-quotasystem”1 in trading garment products played a significant role in the success of the industry. However, that quota system came to an end in 2004. Therefore, the competitiveness issue needs to be addressed, with special attention given to the long-term sustainability of the industry. The term “competitiveness” itself is a broad concept. Its meaning, implications, adaptation and achievement vary from firm to firm, industry to industry, or country to country. Michael E. Porter is a pioneer of the “competitiveness theory” (Porter, 1990)at the national or macro level (Cho and Moon, 2000). Firm/industry-level (micro level) competitiveness depends on various parameters. However, the literature provides no universal agreement on the definition of competitiveness. For example, some researchers consider the labor cost, unit cost, exchange rate, interest rate, prices of material inputs other price- or cost-related quantitative factors for measuring the competitiveness of a manufacturing firm/industry (Edwards and Golub , 2004; Fukunishi, 2004; Cockburn another’s, 1998; and Edwards and Schoer, 2002). Some other researchers consider product quality, innovativeness, design, distribution networks, after-sales service, transaction costs, institutional factors relating to the bureaucracy of export procedures and other non-price factors for measuring the competitiveness of a manufacturing firm/industry (Abdel-Latif,1993; Chen and others, 1999; and Sachwald, 1994). The influences of both price and on-price factors on the competitiveness of a firm/industry are reflected by market share and profit ( 2006). This study attempts to incorporate price, non-price and result(for example, market share) factors in order to address the international competitiveness of the Bangladesh RMG industry. The majority of the competitiveness-related research studies focus on the “competitive performance” or on the “factors influencing competitive performance”. The studies consider product price, market share and other indicators to measure competitive performance, while considering wages, costs, productivity and other issues as factors influencing competitive performance. However, Fujimoto (2001) puts special emphasis on the “capability” factor that influences the competitive performance of a firm. According to him, improvement in the “capability” of a firm enhances its “competitive performance”. This improvement takes time, but it ensures the long-term sustainability of a firm. In contrast, improving only “competitive performance” and not “capability” may not be sufficient to ensure the long-term development of the firm. This study addresses the competitiveness issue from two broader dimensions: surface-level and deep-level competitiveness.3 Surface-level competitiveness reflects the “competitive performance” of a firm or industry that is directly observable to consumers. Deep-level competitiveness reflects the “capability” of a firm or industry that is not directly observable to consumers. An improvement in the deep-level performance enhances the performance at the surface level. The severe competition under the quota-free trading environment pressures the RMG industry of Bangladesh to enhance its surface-level competitiveness at the earliest convenient time. However, the long-term sustainability of the industry demands enhancement of deep-level competitiveness. Therefore, the future development of the industry will depend on how much importance will be given to which factors/dimensions, and how the individual firms will respond and how government policies will influence the industry. Hence, the discussion of the competitiveness of the Bangladesh RMG industry requires simultaneous consideration of both the surface and deep dimensions. In particular, this study uses (a) export value, product price, market share and lead time as surface-level indicators, and (b) linkage expansion, factory environment, product/market composition, and “production and distribution” time as deep-level indicators for measuring the international competitiveness of the Bangladesh RMG industry. The paper is structured as follows. Currently, there are more than 4,000 RMG firms in Bangladesh. More than 95 percent of those firms are locally owned with the exception of a few foreign firms located inexpert processing zones (Gonzales, 2002). The RMG firms are located mainly in three main cities: the capital city Dhaka, the port city Chittagong and the industrial city Narayangonj. Bangladesh RMG firms vary in size. Based on Bangladesh Garment Manufacturers and Exporters Association (BGMEA) data, (2000) found that in1997 more than 75 per cent of the firms employed a maximum of 400 employees each. Garment companies in Bangladesh form formal or informal groups. The grouping helps to share manufacturing activities, to diversify risks; horizontal as well as vertical coordination can be easily found in such group activities. Ready-made garments manufactured in Bangladesh are divided mainly into two broad categories: woven and knit products. Shirts, T-shirts and trousers are the main woven products and undergarments, socks, stockings, T-shirts, sweaters and other casual and soft garments are the main knit products. Woven garment products still dominate the garment export earnings of the country. The share of knit garment products has been increasing since the early 1990s; such products currently account for more than 40 per cent of the country’s total RMG export earnings (BGMEA website). Although various types of garments are manufactured in the country, only a few categories, such as shirts, T-shirts, trousers, jackets and sweaters, constitute the major production-share (BGMEA website). Economies of scale for large-scale production and export-quota holdings in the corresponding categories are the principal reasons for such a narrow product concentration. The United States was the main export destination for Bangladeshi RMG products in the early 1990s followed by the European Union, but the European Union has surpassed the United States over time. These two destinations generate more than 90 per cent of the total RMG export earnings of Bangladesh (BGMEA and the Export Promotion Bureau websites; and Quddus and Rashid, 2000). The shares of other importers, such as Australia, Canada, China, Japan and the Russian Federation as well as countries in the Middle East, in the total RMG export earnings of Bangladesh are minimal. This section of the paper focuses on surface-level competitive performance of the Bangladesh RMG industry in the United States and the European Union markets only. In addition, the performance of China and India along with Bangladesh as RMG suppliers to international markets is also considered for comparative analysis. (a) Export competitiveness in the United States market5 Bangladesh has experienced some product diversification in its export of garments to the United States market in recent years compared with the early 1990s.6 However, the country’s performance in upgrading its products is not significant with regard to the United States market (Haider, 2006). The country experienced a sharp increase in the export of garment products to the United States market in the 1990s, but faced declines in export earnings from that country in 2002 and 2003, followed by slow increases since 2004. The exports of India also increased rapidly in the 1990s, although that country experienced comparatively slow progress in the last few years. However, the RMG exports of China to the United States have increased at a startling rate over the years. For example, the textile and garment export earnings of China, India and Bangladesh from the United States were $3.6 billion, $0.8 billion and $0.4 billion respectively in 1990, and increased to$22.4 billion, $4.6 billion and $2.5 billion respectively in 2005. Such rapid expansion in the exports of China represents a major challenge to other exporters. Cotton non-knit shirts, man and boy was the highest contributor to the export earnings of Bangladesh from the United States, amounting to $332 million in2005. The export earnings of only eight categories8 crossed the $100 million export benchmark in the same year for the country. A total of 16 categories of exports crossed the$50 million benchmark and 31 categories crossed the $10 million export benchmark. Bangladesh has experienced both quantitative and qualitative changes in exporting garment products to the European Union market during the period 1996-2005. The textile and garment export earnings of Bangladesh from the European Union increased from1.2 billion Euros in 1996 to 3.7 billion Euros in 2005. For India and China, the corresponding earnings increased from 3 billion and 5.3 billion Euros in 1996 to 5.3 billion and 21.1 billion Euros in 2005 respectively. Garment products generate the major share of Bangladesh’s export earnings from the European Union. However, both textile and garment products in China and India contribute to the export earnings from the European Union. For example, garment products on average generated more than a 95 per cent share of the total textile and garment exports to the European Union from Bangladesh during the period1996-2005. The corresponding shares for India and China stand at below 75 per cent and80-90 per cent respectively. The top five product groups contributed 76 per cent of the total garment export earnings of Bangladesh from the European Union in 1996, and that share increased to82 per cent in 2005. The corresponding changes for India and China were from shares of62 per cent and 34 per cent in 1996 to 54 per cent and 45 per cent in 2005 respectively. This trend demonstrates that product diversification in Bangladesh is lower than that of India and China in exporting garments products to the European Union market. Knit garments from Bangladesh have gained remarkable access to the European Union market during the period 1996-2005 (see table 2).Duty- and quota-free access of garment products manufactured under “two-stage local transformation” (yarn to fabrics, and fabrics to garment) have accelerated the exports of knit garment products from Bangladesh to the European Union. As the knit textile subsector is relatively less capital intensive and requires relatively simple technologies, it managed to undergo rapid expansion, benefiting from the European Union Generalized System of Preferences. The woven part of the category has failed to utilize that facility owing to a lack of sufficient backward linkages. In contrast to the European Union, both knit and non-knit products have entered the United States market simultaneously, as no special tariff or tax reduction incentive was available there for the import of garment products from Bangladesh. The product-mix of garment products exported from Bangladesh to the European Union has changed significantly during the period 1996-2005. The share of shirts in total garment exports from Bangladesh to the European Union has decreased, whereas the shares for overcoats, jackets, sweaters, suits and some other garment products have increased indecent years. These changes demonstrate that Bangladesh is achieving some level of product diversification in exporting garment products to the European Union. In addition, a gender analysis indicates that Bangladesh has achieved some upgrading of its products recently in terms of exporting garment products to the European Union. Garments for females are treated as upgraded products compared with garments for males, since they add more value on average. The earnings of Bangladesh from the export of garments for females to the European Union has increased during the period 1996-200. Our policies and services have been built to fulfill customer satisfaction with finest quality products and services as well as ethical responsibilities based on strong time management, teamwork and modern communication. Global sourcing solution for our customer: We source for supply chains for major brands and retailers worldwide. Our sourcing network 13 plus countries and territories across North America, Europe and Asia. In addition to the wide range and variety of consumer products available through its sourcing network, JAK also provides its strength in custom product design and development to provide complete global sourcing solutions for its customers. During production pick the product and match with buyer recent production comments. Maintain standard quality in every step of manufacturing from the selection of right and best materials to the packaging and shipping. Development and Sampling: This is an important sector in our service. Our professional team always review buyers development package and communicate with buyer to meet their requirements by providing Fit sample, PP sample, Salesman sample etc. All team members, top management to bottom are aware of shipment date. Also, an off-line database is used to track all the process of the production, so buyers can be updated. Since the establishment, Shelltex International has always been dedicated to its customer service. The success of the company is based on its management’s devotee and innovative attitude and firm commitment to its ultimate goal. Our vision is to provide services which directly belong to international trade in commodities and services, by safeguarding its customers’ interests, protecting their integrity and to make business by capturing major shares in the market through quality products and services which would be most trusted anywhere in the world. Our Mission is realization of Vision through maximum delivery of quality product and services strictly on ethical and moral standards at competitive costs ensuring optimum benefits to the clients and ………. To ensure the best and ultimate solution to the customers in meeting their ongoing needs with the best quality of products and services. Within the stipulated period of time. To be the market leader of the trade. To handle the requirement of the customers both profitably to them and to ourselves. Factory visiting service is available when necessary. A perfect solution will be efficiently presented by the Shelltex International trained staffs when technical problems occur or on customer’s request. Orders are continuously monitored by the Shelltex International’s most efficient staffs and improved thereof till shipment. Value-added service ensures its customers’ high profits and advantage in a fierce competitive climate. To manufacture world-class standard products for our valued customers with on time delivery. To employ resources as incendiary for the growth of RMG sector. To provide service for the parties involved and invention of the necessary new service dimension. To search for new buyers for investment and help to develop products to suit such needs. Searching buyers: The task of this department started with the searches of buyers, who want to import garment products from our country, to get the order of the garment product manufacturing. Introduce letter: After finding suitable buyers this department issues an introducing letter to the respective buyers which describes merchandising department’s total years of experience, its parameter of total activities, efficiency and effectiveness and relationship with existing buyers. Cost of Making: CM is another important activity that stands for Cost of Making. Here the merchandiser of this dept. determines what are the things are required to make a unit or dozen of an order. Then he makes calculation’ of per unit cost on the basis of accessories consumption, fabric consumption, labor cost and other relevant costs. Select supplier: Merchandising department recognizes the effectiveness, of their commitment to buyers and thereby it shoulders the responsibility of finding out efficient buyers. The bases of efficiency include supplier’s adequate administrative setup to prepare all necessary documents for exports, supplier’s financial status and adequate capacities etc. It starts its activities after receiving the original sample or sketch sample from the buyer with an, intention to testify the capability of sampling department to meet the desired standard of the products. Two people contribute toward the efficiency of sampling dept. They are sampling man and pattern master of M. Inc. The commercial department of Shelltex International prepares pro-forma invoice for the respective buyer. The invoice includes the quantity of the buyer’s order, its unit price and total price. The commercial department also transfers master L/C on the name of selected supplier. This department also maintains all clerical activities such as maintaining the accounts of daily transaction, maintaining payroll, keeping the accounts of daily expenditures etc. Although named as production department, this service department rather follows up production dividing its activities into following sections of Responsibilities: Quality monitor and control: This dept. supervises the manufacturing process to maintain the quality and scheduled progress of the manufacturing in behalf of merchandising Incorporation. Final Inspection: For its reputation, buyers usually delegate the responsibility of final inspection on the shoulder of quality. Inspector of Merchandising Incorporation. The efficient inspection is the responsibility of the quality inspector of Merchandising Inc.
As the name mentions the task of shipping department of M. Inc starts from -receipt of final goods from the supplier factory after the final inspection and ends- with loading of the goods bound for supplier. This department also prepares the supporting documents for export such as bill of exchange, bill of lading, commercial invoice, certificate of origin, packing list etc. We coordinate with the manufacturers and exporters of readymade garments like T-shirts, polo shirts, sportswear, underwear, and sweatshirts, casual wear, night wears, lingerie & polar fleece jacket etc. Different type of printing like Pigment, Rubber, Flock, Foil, Sugar, Discos, Deactive, Embross, Plastic sole, Glitter, Hidensi , Transper, Gel, Stone print. All type of Label and Tags. Bangladesh now exports garments to about 25 countries around the world, the USA is the single largest importer of its RMG products, amounting to 43 percent of total garment exports. Bangladesh is the sixth-largest supplier of apparel in the US market. Considering the European Union as a single market, the USA then becomes the second largest. Over the past few years, Bangladesh’s RMG exports to the EU have expanded rapidly, with the EU currently importing about 52 percent of Bangladesh’s total garment products. The inter-temporal evidence of the narrow market base of Bangladesh RMG exports in the 1990s is provided by the concentration of exports to the US and EU market. While the export share to the USA has witnessed an annual average rate of decline of 1.5 percentage points, however, the corresponding share to the EU has experienced an annual growth rate of 1.6 percentage points. Thus, the increment in the EU share has simply replaced the declining share in the USA market, which suggests that, instead of diversification, Bangladesh’s export market has remained concentrated over the past decade. The combined market share of the USA and the EU has thus increased from 95.5 percent to 95.6 percent between 1991-92 and 1998-99. Bangladesh so far has been unable to gain access to ASEAN or Indian markets, although it imports a huge quantity of fabrics and yarn from these countries. Similarly, although it imports about 95 percent of its total garment machinery from Japan, its market share of apparel export to Japan is a mere 0.1 percent.16 Bangladesh’s inability to gain access to these large markets in turn suggests that the country has yet to establish its claims, as advocated by the WTO, to the principles of reciprocity and market access. The North American quota system and GSP facilities afforded by the EU have contributed to the undiversified RMG export market in Bangladesh; in that entrepreneurs have focused on taking advantage of these special opportunities. Thus, the entire national clothing export business will be endangered by the year 2008, when the MFA is eliminated and GSP schemes may cease to operate. The country must thus make immediate and vigorous attempts to diversify its export markets. The principal static comparative advantage that Bangladesh enjoys over potential competitors is its cheap labour force. The wage level in the RMG industry is low both for males and females, compared with workers in a similar category in other sectors. For instance, a comparison on the basis of wage data provided by Bangladesh Bureau of Statistics8 shows that the average monthly wage of skilled RMG factory workers is 1.4 to 2 times lower than that of similar factory workers in the textile and other sectors. “Productivity, Competitiveness and Job Quality in Garment Industry in India,” a discussion paper prepared for the Sub-regional Meeting on Productivity, Competitiveness and Job Quality in Garment Industry in South Asia, Kathmandu 25-26 September 2001. Job Quality in Garment Industry in South Asia, Katmandu 25-26 September 2001. They manage the export related document and ensure that the buyer LC is accurate. After production they also manage the document of shipment. They manage the production process and see whether the product is produced regarding the requirement of the buyer and delivery the produced good within the shipment date. I am an official business promotional officer of Shelltex International. Most of the employees are not enough skilled to perform their job. In the there are some post such as quality controller, design maker, merchandiser that require technical skill to be performed but as the employees do not have any institutional training they lack such technical skill. On1y way they can learn is through on the job training. Convincing foreign buyers and establishing long term relationship with them is one of the most important tasks. To perform this job employees need proper language and communication skill. 13ut in our country as the education medium is Bengali and there is less opportunity to learn other foreign languages therefore employees lack communication skill to convince and establish long-term relationship with foreign Buyer. There are no such courses designed in any of the public or private educational institutions of our country which can give employees training specifically to perform their job. As a result people usually coming to this field are from different background. They are usually unskilled and inexperienced. Fleeting tendency of Employees has a very high tendency to switch their jobs. This may be because of their poor salary structure and no service benefit. As a result whenever they find any better offer they try to switch they exist one. Employers are usually autocratic with their subordinate employees as a result of which employees are often demotivated to work. They feline they are always under pressure. RMG industry is in its growth industry but this growth is a result of so caned blessing of quota system but not the achievement of their efficiency. Even the constituents of this industry buying houses have never been shown any vision of prospect, both in their attitude and actions. This is the warming of undesired maturity for this industry. Even though they are aware about the guillotine of year 2008, but it seems that they are ready to dye out. Threat, button, cartoon, backboard these are treated as accessory of garments product. Industries of these products are treated as backward linkage industry of garment exports. Most of the times supply these accessories to garment manufacturers. But due to insufficient number of factories, they face diff1culties to supply these accessories on time. The quality of these accessory most of the time do not matches, as it demanded due to their inefficiency and ineffectiveness in production. Majority people involved in this sector are illiterate. As a result of which they are not concerned of the consequence of the late delivery as well as poor quality. There are also no written rules and regulation for operating this industry. As a result, people involved in this industry operating their business according to their willingness. This means delivering goods with inappropriate quantity. This is a very common problem for all working in this sector. Garment manufacturers of our country are the victim of many natural contingences including strike, hartal or political instability: So a result they often fail to finish their on time which result short shipment. Due to this short shipment respective buyer become dissatisfied with the Buying House and as a result all parties involved suffer loss. Another important problem is the poor quality of its supplier (garment manufacturer). Desired quality is the first condition of the foreign. Garment manufacturers due to their unskilled worker cannot produce the product with expected quality. As a result buyers reject the product. Some documents such as to prove his authentication. These documents are sending to buyer from buying house or the respective supplier. However, sometimes due to lack of experience or knowledge they sometimes fail to send appropriate documents for which the buyer cannot discharge his goods from the port. As a result the buyer becomes dissatisfied. Besides improper document, sometimes the supplier or buying house fails to send documents on time. Without proper document the foreign buyer cannot discharge goods from the ship. This problem is very irritating to buyer as the product has arrived at the port but due to unavailability of proper document he is unable to discharge goods from the port. For this reason sometimes the suppliers has to break relationship with its buyers. This problem mainly occurs due to unethical practices of few people. Normally, the amount of the commission is specifically written at the back of letter of credit. So, nobody can deny paying the house. However sometimes due to ill intention of the people of bank of the merchandiser faces difficulties to receive its commission. Due to low labor productivity Bangladesh is competitive, with low value and thus low-priced items, at the lower end of the RMG market. RMG production is concentrated in a relatively limited range of products such as shirts, T-shirts, trousers, and shorts. To be internationally competitive, Bangladesh needs to expand its product range and should begin producing fashion-wear and higher value-added items. Product diversification is essential to meet the challenges of the world. Establishment of backward linkages, especially the domestic production of yarn, can reduce the cost of production. The current gap in demand and domestic production, met through imports, is estimated to be 480 million kg for yarn, and 2,300 million meter for fabrics. The country could thus save considerable foreign exchange by increasing domestic production of yarn and fabric. Production costs would also be reduced, since the RMG manufacturers would not have to buy fabrics at international prices that are not necessarily competitive. A considerable gap also exists in knowledge about trade and investment flows. This is understandable, given that most entrepreneur interactions are with buyers who merely specify their product needs, provide the designs, etc. The emerging global environment, however, calls for more strategic action with regard to major competitors. Introduction of functional English courses for managerial and supervisory staff and greater attention to on-the-job training, with appropriate incentives such as tax rebates. Encouragement for relocation of factories outside main urban areas, with serviced plots being made available and adequate supervision to ensure that factories are functionally designed. After recruitment of employee, they should provided with three to six month training to learn the technical work to perform the technical job. The company should provide money to its employee to develop’ communication skill in particular language in order to communicate with foreign buyers. Instead of full autocracy or democracy, the employers of buying house should show lenient view in all aspects so that they get motivated to work. Employee pay structure should be consistent with the employee . work pressure, in order to stop their tendency to switch job. Company should introduce service bonus or service benefit in order to encourage and motivate their employee. Having no visions of prospects the garments industry in our country is bound to suffer from the worst deterioration with their withdrawal of quota system. So the only remedy to develop this scenario is to strengthen their infrastructure through combined effort of both government and non-government for proper support and facilities. Encourage people to develop industry such as threat, button, interlining and other packing materials treated as backward linkage industry of garment export by make short term or long term contract of taking goods so that buying house do not have to import those at higher price or the local supply can the fulfill the required demand of the industry. Government of our country should also provide incentives to develop backward linkage industry of RMG export, for the smooth supply of accessories by buying house to garment factories. Company owned accessory supplier can also the developed to maintain quality or on time delivery. Maintaining product quality is very important. To maintain appropriate quality, buying house should take necessary steps such as training course for their quality controller or inspector etc. For improper document or document delay buyers cannot receive his product from the ship in his country for which relationship between he and buying house may break up. So buying house should be always careful in preparing right documents. They also should send documents at right time. The total industry should keep in mind that they need a truly international outlook for exporting to attract buyers as well as long-term commitment with both of their buyers and suppliers. The total industry must achieve an international reputation for quality to challenge the quota free environment. Company should ensure that they have all the resources. Company should start marketing through trade fair. Company should start marketing through internet. Requirement of obtaining approval from Bangladesh Bank for creating Forced/Demand loan by the lien banks should be withdrawn. The liability of any L/C should also not be considered as default loans. Bangladesh/bank should provide the lien banks with adequate funds for necessary payment of cash incentives to our exporters without delay. Negotiation Bank should be authorized to take into consideration for deciding upon discount unto 20%. Condition for obtaining approval for discount from the Bangladesh Bank should be relaxed. From the date of document negotiation, forty-five days should be allowed for fund remittance. Overdue interest should not be charged in the event if remittance is delayed. All private sector commercial banks should immediately cease charging L/C Acceptance charges like the nationalized Banks of the country. submitting statement by the commercial banks to the NBR should be waived. To strengthen the security in cargo shade of Airport forming and to take necessary steps to exporting through air. To waive the high royalty rates at specific times of the tear so that the emergency import of raw material and export of readymade garment could remain steady­. To reduce Communication gap created by incomplete knowledge of English. Need to right time make decision. Workers should have awareness about the quality of product. Garment industry is controlled by the transfer of production. The globalization of garment production started earlier and has expanded more than that of any other factory. The global economy is now controlled by the transfer of production where firms of developed countries swing their attention to developing countries. The garment industry of Bangladesh has been the key export division and a main source of foreign exchange for the last 35 years. Many people have earned their livelihood through this industry. Their may be gender discrimination, low wage level exist in the garments industry, but still, they supply employment for all of theses people who come here to live. The Ready Made Garment industry in Bangladesh is made up of 3,486 manufacturers and accounts for 76% of total foreign exchange earnings. It employs about 180,000 managers and 1.5 Million workers, of whom 1.2 Million are women. In Bangladesh, the RMG industry has emerged as a major economic sector and has had its impact on the financial services sector, communications, transportation, and on other related industries. The RMG industry has had a major social impact. It has empowered 1.2 million women with employment and economic independence, which in turn has earned for Bangladesh recognition as a modern and enlightened society. The surface-level competitive performance of the Bangladesh RMG industry is rather good, as indicated by quantitative expansions of its exports to major international markets over the time period. Moreover, the industry has already initiated the process of enhancing its deep-level competitive performance. For example, the Bangladesh RMG industry has achieved some product diversification in both the United States and the European Union as a garment supplier. Recently, the industry has achieved some upgrading of its products in the European Union, but this has not occurred to a significant extent in the United States. Some important areas which require more attention to sustain and enhance deep-level competitiveness of the industry are reduction in “production and distribution “time, expansion of linkages, compliance with code of conduct of buyers and changes in product/market composition. The Government of Bangladesh should also provide more active policy support. Figure 5 illustrates a simple competitiveness enhancement model for the Bangladesh RMG industry. The most urgent and important task for the Bangladesh RMG industry is shortening the lead time; otherwise, international buyers may divert their attention towards other suppliers for the importation of garment products in the current quota-free business environment. The best option for Bangladesh is to improve its deep-level competitiveness by reducing total “production and distribution” time, which will improve surface-level competitiveness by reducing lead time. An important precondition for implementing that strategy is the existence of a strong domestic textile industry. Bangladesh faces significant constraints in this regard and hence it is not possible to establish strong backward linkages overnight. Therefore, to retain competitiveness in the global market, Bangladesh has to think of other alternatives. The establishment of common bonded warehouses in the private sector for storing raw materials for use in export-oriented garment factories under some special incentives, such as duty-free imports, could play a significant role in reducing lead time. Such a policy runs the risk of delaying the initiatives that are necessary in order to strengthen deep-level competitiveness. However, globalization is putting pressure on the country to accept that risk. The establishment of common bonded warehouses and the expansion of backward linkages are two options for the Bangladesh RMG industry. While the establishment of common bonded warehouses will improve only surface-level competitiveness, the latter will improve both surface and deep-level competitiveness. A good balance between these options will sustain and enhance Bangladesh’s position in the world market, and at the same time upgrade the country’s current status of being only an assembler so that it could become a full-package supplier of garment products. Second, Bangladesh needs to concentrate on improving the working environment in factories and address other social issues related to the garment industry. The RMG firms in Bangladesh have been facing immense pressures from international buyers for compliance with their codes of conduct. In contrast, the big buyers are interested in continuing and expanding their business with Bangladesh if shorter lead time and compliance standards can be met. Therefore, Bangladesh should address these two issues very carefully and immediately, which are the least conditions necessary to survive the competition.